Journey Mexico is committed to environmentally responsible travel that promotes conservation, has low negative visitor impact, and provides for the beneficially active socioeconomic involvement of local populations. We are convinced that our trips can facilitate understanding and promote cooperation among all the participants, from our clients to our guides to our gracious Mexican hosts. We actively work with local communities and non-profit organizations with missions based in conservation & sustainable development to make good on the promise of ecotourism as a catalyst for sustainable development; we invite you to learn more about our efforts to protect the pristine coasts, mountains, canyons, and jungles of Mexico. We support Dr. Wallace J Nichols as one of his “Blue Angels” and invite you to do the same at www.wallacejnichols.org; J’s innovative approach to ocean conservation has been covered in Time Magazine, Outside Magazine, National Geographic and more. We are an active member of the Global Sustainable Tourism Council and sit on the Board of Advisors of Oceanic Society where it is our mission is to conserve marine wildlife and habitats by deepening the connections between people and nature. Journey Mexico is an active member of the World Travel & Tourism Council (WTTC) Illegal Wildlife Trade Working Group. This pioneering group helps to establish and promote practices that the travel & tourism industry can implement to combat illegal wildlife trade and encourages responsible wildlife-based tourism by raising awareness among customers, staff and professional trade networks. We at Journey Mexico are committed to low impact, environmentally, culturally, and socially sensitive travel that prioritizes community participation. Our experience has shown that supporting local businesses that protect pristine natural areas helps to ensure their sustainable future. We have never been more aware of the need for conscious living and this extends to all aspects of our lives. Journey Mexico regularly collaborates with the finest local conservation and sustainable development partners to operate memorable, educational and sustainable travel experiences in Mexico that protect and gather information about the state of the local environment. Journey Mexico is working with REDES (Restauración Ecológica y Desarrollo A.C), a local non-profit association dedicated to improving and restoring the relationship between society and nature by promoting and executing programs and projects of conservation and ecological restoration. In collaboration with REDES, Journey Mexico is has developed a travel experience that will not only support conservation efforts but also educate consumers and trade network about the Chinampas (Mesoamerican floating Gardens for agriculture purpose) fascinating Axolotl (Ambystoma mexicanum) aquatic salamander that is considered a critically endangered species that is endemic to Mexico. The Axolotl (pronounced ACK-suh-LAH-tuhl) salamander has the rare trait of retaining its larval features throughout its adult life. Found exclusively in the channel complex of Xochimilco, within the limits of Mexico City, Axolotls differ from most other salamanders in that they live permanently under water. This salamander once made its home in the interconnected lakes that filled the basin of Tenochtitlan, where Mexico City now stands. Yet, due to centuries of development and pollution, scientists warn that they could entirely disappear by 2020. The Mexican government has taken action, establishing the Ejidos de Xochimilco Protected Natural Area to try to safeguard what is left of the Axolotl’s diminished habitat. 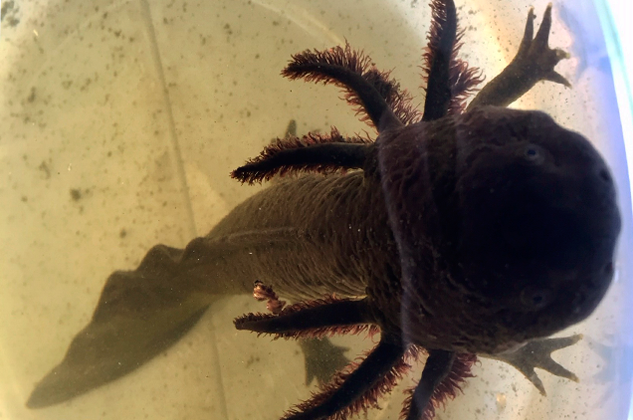 This experience is a great way to support the effort of helping the Axolotl survive! To further hold off urban sprawl and expand the animal’s habitat, scientists are also working with local people to revitalize the ancient tradition of farming in the wetland on plots of land that are essentially floating islands. The organic technique used to construct these island creates a prime habitat for the salamanders, while also helping to filter water for the city. These man-made islands, called chinampas, are built from aquatic vegetation and logs interwoven with mud from the lake bottom. The farmers today still use ancient cultivation techniques pioneered hundreds of years ago in the pre-Colonial era. In addition, there is strong support from the top chef’s in Mexico City to save the floating farm tradition with the Chinampa Preservation Program. These chef’s, from some of Mexico best restaurants, buy and use produce grown at the chinampas, incorporating these fresh, locally-grown ingredients into their dishes as a way to support the area. Discover mysteries of the ancient Aztec city of Mexico-Tenochtitlan with an early morning nature experience in back channels of Xochimilco. Enjoy bird watching and learn all about the intriguing Axolotl salamander, a rare amphibian with unique regeneration abilities that is on the verge of extinction, and support the conservation efforts for this incredible creature. Visit the last remnants of actual floating gardens or “chinampas” and the canals and waterways that once made up most of the entire Aztec city of Tenochtitlan. Enjoy a traditional lunch, made with locally produced ingredients at the chinampa, hosted by local cooks from the community. During this experience you’ll learn the importance of these floating gardens, recognized as an Agricultural Heritage System, while supporting the preservation efforts. This fascinating experience is led by an expert naturalist guide, scientists and the founder of REDES (Restaruacion Ecologia Y Deasarrollo), a non-profit association that actively works on conservation programs and projects to protect the area’s ecosystem and save the endangered Axolotl. Learn all about this incredible area, that is actually part of Mexico City, and discover a hidden oasis that brings life to the incredible flora and fauna in this amazing metropolis. At the same time you will be supporting the local community, chinampas preservation and Axolotl conservation, as a portion of the tour fee channels back to the nonprofit association. *Support efforts to save the Axolotl from extinction and learn all about this intriguing endemic species. *Visit the Chinampas and learn the history of these garden islands and about the preservation efforts to protect them. *Enjoy a traditional lunch experience with produce grown on the chinampas. Whale sharks are the true “gentle giants” of the oceans. The largest fish on the planet, these gentle beasts return yearly to the coast just off La Paz. 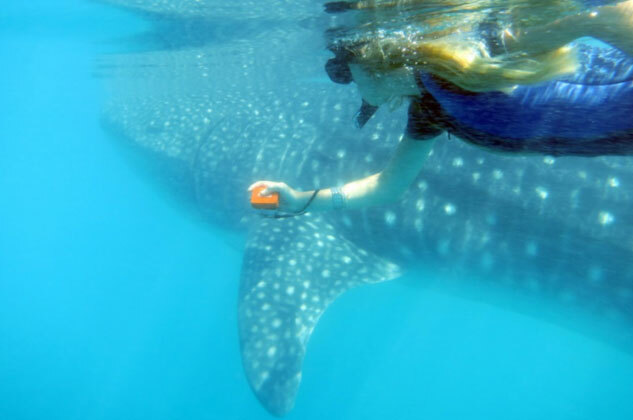 Join the Whale Shark México team led by scientist Deni Ramírez in their efforts to learn more about these magnificent creatures and support their protection, while doing this experience you are helping to finance the research. Join Mexico’s researchers and scientists working to understand and protect these magnificent creatures. After boarding the research boat, the team will brief you on protocols, and then you will begin searching for whale sharks. Throughout the day you will learn about the various projects including photo-identification, population analysis, satellite tagging and genetic analysis. There will also be time to snorkel with these amazing giants. Snack time will be on a beautiful pristine beach on the Sea of Cortes. Journey Mexico supports local organizations like RED that has developed a curriculum to instill local youth with a practical understanding and appreciation of the connection between humans and nature in the Sierra de La Laguna UNESCO Biosphere Reserve. Through an experiential learning curriculum, students from around the region learn the importance and fragility of the natural resources in this area. Looming up above the desert, the lush Sierra de la Laguna Biosphere Reserve provides the perfect escape from the bustle. Along with your local naturalist guide, you will learn about the natural history of the region and the ranchero culture that has kept alive centuries-old artisanal traditions. Spend the day hiking the nature trails, swimming in the freshwater springs, and getting a look at local ranchero life. While doing this experience you are supporting local communities. We can also tailor-make multi-day academic adventure experiences to give to travelers (groups) a hands-on course on climate change, water and desertification, and other important issues. 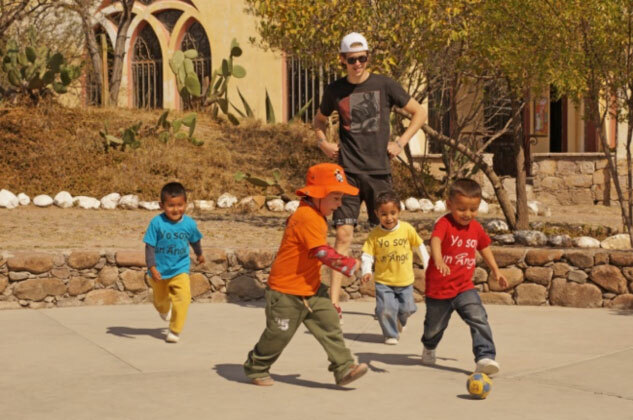 The purpose of this experience is to make a positive impact while on the ground in Baja California Sur. Participants will be learning all about the natural history of the region and the ranchero culture that has kept alive centuries-old artisanal traditions. Combined with hiking and exploring nature trails. While doing this experience they are also supporting local communities. Please note: this is a group experience is ideal for academic programs, and is personalized and quoted on a case by case basis, according to group size, dates and preferences. Travel to majestic Magdalena Bay on the Pacific coast of the Baja California Peninsula to participate in a customizable, multi-day, world-renowned sea turtle research and conservation project. Explore the vast sand dunes and mangrove canals, and witness the amazing grey whales that migrate from the Arctic to mate and calve in these protected waters. 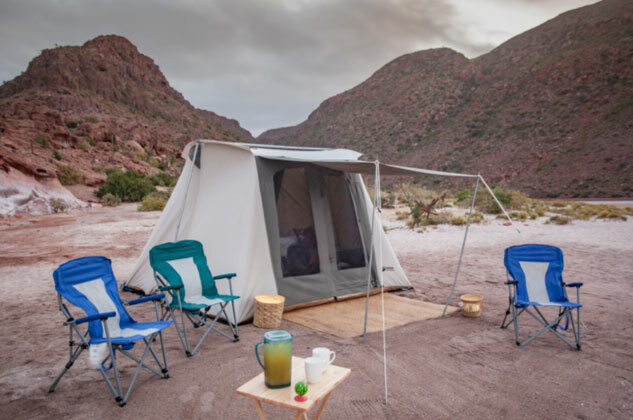 Visit a high-end eco-camp in Bahia Magdalena for a hands-on experience in the Sea Turtles monitoring conservation program, exploring the protected lagoons of the Pacific Ocean and Sea of Cortez for magnificent encounters with marine wildlife. Apart from generating important data that contributes to policy-making decisions regarding sea turtle conservation, this project provides an important source of non-extractive employment for fishermen and poachers. Putting the monitoring in the hands of local fishermen helps to create local stewards of Magdalena Bay’s natural resources. Discover the biosphere reserve of Sian Kaán, exploring the marshes, mangroves, and the flora. You will visit a jungle engulfed Maya temple, take a boat trip along the water, float down a natural ‘lazy river.’ Your personal, expert guide will pick you up at your Playa del Carmen hotel at 8 am and you will drive to Muyil, from where you will enter Sian Kaán Biosphere Reserve. 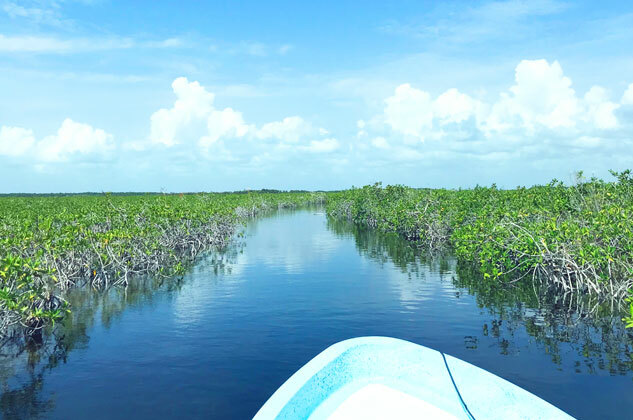 Sian Kaán in Maya means ‘origin of the sky.’ The reserve is made up of a large water system, marshes, and mangroves as well as virgin tropical forest. Arriving at Sian Kaán you will start the tour on foot, taking a short hike through the jungle to the Muyil Maya temple, before walking along a wooden pathway by the water’s edge. The next part of the visit will be by boat. Along with your expert guide, you will explore the reserve by water, discovering a cenote (sinkhole) that lies underneath the surface. There will also be a chance to swim in the clear waterways or float along the ‘lazy river’, so don’t forget your bathing suit! At the conclusion of your visit, you will be driven back to your hotel (1-2 hours). With this experience, participants are contributing to the community development and local economic impact. The Sian Kaan ecotourism services are based on the conservation and preservation of the compromised ecosystems and are committed to ecologically sustainable development—generating jobs for the people living in these communities. These experiences are committed to conservation projects and educational programs in local communities surrounding Sian Kaan. Projects that may serve people and communities with social inclusiveness, employment and poverty reduction. We actively work with local communities and non-profit organizations with missions based in sustainability and memorable philanthropic and educational travel experiences that allow participants to appreciate the uniqueness and dignity of each person they meet, while supporting the efforts of empowering local communities. Like no other, this experience bridges the divide between visitors and locals in the non-touristic neighborhoods within the town of Bucerias. In collaboration with a local non-profit organization, we offer an incredible travel experience that allows you to meet, engage and connect with local artisan families and gain a sense of the vibrant cultural diversity within this town. Through translated conversations, you will gain a deeper insight into the lives and livelihoods of these remarkable artisans and a sense of the vibrant cultural diversity in Mexico. 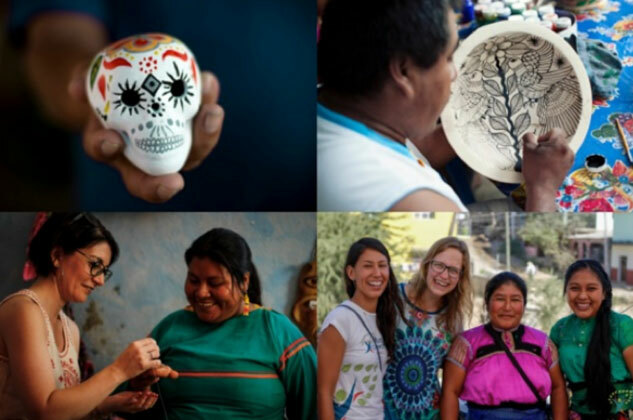 You will make meaningful connections through workshops led by local artisans—from making jewelry on a small loom with an entrepreneurial woman from Michoacán to creating stuffed animals out of hand-woven wool with a Tzotzil family from Chiapas to painting clay bowls with Nahua family from Guerrero. Try your hand at some local trades, such as painting or weaving as well. Be sure to work up an appetite because you will also enjoy lunch and learn about traditional cuisine with a tortilla making lesson, while you interact with your host. The aim of this experience is to create the kind of connection in which our shared humanity is presented before us. By experiencing someone else’s story and putting ourselves in their shoes, we reconsider our assumptions and appreciate the uniqueness and dignity of each person we meet. The experience has the added virtue of empowering local communities while fostering conversations, as we believe that responsible travel has the power to affect positive social change. This experience is a platform for local people to share their culture and have influence over their stories; to provide positive contributions for the conservation of the local culture and its natural heritage. At the same time, you are supporting the local community, as these interactions are financially rewarding for the artisans. In addition, a portion of the tour fee channels back to the nonprofit association. 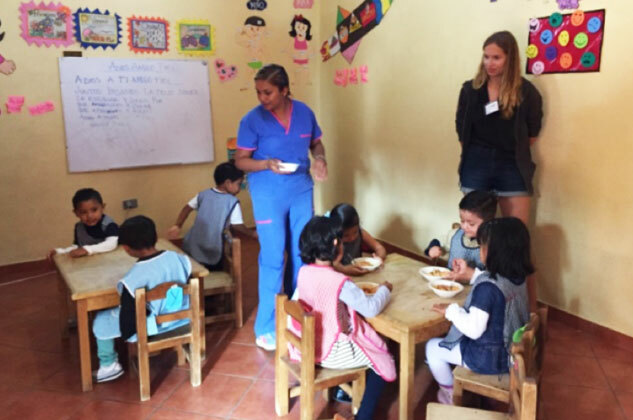 By volunteering for a day, Journey Mexico invites our travelers to step outside of the tourist bubble and into the world of a community nonprofit organization that is devoted to finding solutions to local issues. Huellas de Pan started like a community kitchen project in Cancun to nourish vulnerable people in urban areas. Today its unique programs links nutritional food to education and personal development, offering improved well-being for the people it serves both now and in the future. On weekdays, volunteers will be able to help by preparing food in the kitchen, serving food to children and elderly people, organize the pantry, share information about their hometown and engage with the community members. On Saturdays, volunteers can play with the children and participate in cultural activities in the local park. Volunteering for a day in Casa de Los Angeles, a safe haven for the children of working single mothers in San Miguel de Allende – they offer a free daycare center, emergency shelter and other resources for families in need. With a community-based support system structured to empower all participants, this innovative organization serves over 100 children per day. Volunteers will assist teachers and staff in providing a vibrant and positive environment for children in one of the nine bustling daycare classrooms and outside on the fun-filled playground. Read and play with children, create arts/crafts, organize toys and supplies, participate in the morning activities and help prepare the children for breakfast, assist teachers with an educational activity as well as supervise and play with students at the nearby park, depending on needs assist with kitchen or serving lunch. Volunteer for a day in VCEP! – Nestled between the Pacific Ocean and nearby mountains, the beautiful city of Puerto Vallarta is known for its gorgeous beaches, amazing food, and rich culture. Being able to speak and understand English is crucial to finding a job in the growing tourist industry of Puerto Vallarta, yet the public primary schools do not have English teachers and lack funding for computers. Children in Mexico are only required to attend public school up to grade 6, after which, their families are responsible for paying their children’s tuition costs if they would like to continue with their education. This results in a small percentage of students continuing school past secondary level. Volcanes Community Education Project is dedicated to providing free English and computer classes to the local community. VCEP utilizes the old Volcanes School building which is adjacent to the current public schools. Volunteers at the Volcanes Community Education Project can help in the classrooms, assisting students with reading, writing, and speaking English. Volunteers are welcome to facilitate an arts & crafts activity, game, or workshop (such as dance, yoga, computer lab, etc.) and are encouraged to share about their hometown and heritage. Volunteers at Entre Amigos can choose from a variety of activities, such as assisting in the Recicla Shop organizing donated clothing, helping out in the library by sorting and organizing donated books or lending a hand in their workshops on preparing glassware, stringing beads, and cutting cardboard for packaging. Because EntreAmigos’ projects and programs do not run every day of the week, the experience may differ depending on what projects are happening on the day of the visit. An hour north of Puerto Vallarta and 30 minutes from Punta Mita, San Pancho is a beautiful little town in between the ocean and lush jungles of Nayarit. In a town rich with culture, this shared community space is essential to facilitate people coming together to sell their goods, take classes, work in the garden, and recycle to keep San Pancho and the surrounding area looking beautiful. EntreAmigos started in 2006 as a small sidewalk project to teach arts & crafts but since has grown into a beautiful community center. Now residing in a giant restored warehouse, EntreAmigos provides numerous classes and activities for locals and visitors alike, as well as a community garden, recycling center, bilingual library, and circus school. They hold public English lessons, computer classes, and have awarded education scholarships to over 80 local children from the community. Your contribution supports scholarships for local children and provides materials and supplies for their community library. 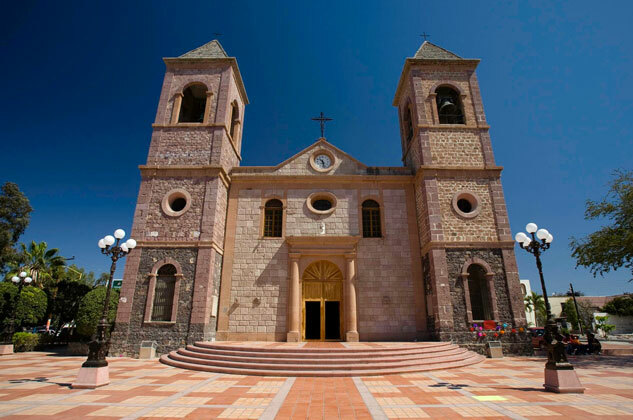 La Paz, the historic capital of the Californias, is tranquil, scenic and a great town to get to know on foot. Experience it through a local’s eyes and your stomach! We will take in cultural and architectural sites of interest, learn about the history of the town, meet some true paceños, and along the way stop to try a few local delicacies. The La Paz City Tour began as an idea to create employment opportunities for young adults and women in need of financial independence. We promote sustainable travel experiences and projects that protect the local environment and provide alternative economic activities for local communities, we support RED’s Urban Guide program that trains women with little access to economic opportunities to become tour guides in La Paz. With support from Lush Cosmetics and in partnership with a group of students from the University of Colorado, Boulder, RED created a training program including Group Management and First Aid; English; and Architectural, Historical, Cultural and Gastronomic Interpretation. In the process, young women develop skills they can use in other employment opportunities or even launch their own micro-enterprises. One of the most valued handcrafts made by the indigenous communities in the Yucatan Peninsula are the hammock, they represent more than 700 families in the area. One of the most valued handcrafts made by the indigenous communities in the Yucatan Peninsula is the hammock—they represent the income more than 700 families in the area. Most of the hammocks for sale in Yucatan are handmade in family workshops. En route to Izamal and Chichen Itza, you will stop at Tixkokob, a rural community located 30 minutes east of Merida. This is a town famous for its high-quality hammock waving; you are here to meet a local artisan at his family’s workshop. You will discover the secrets and “techniques” to best lie in a hammock and mostly you will experience a close encounter with the artisan culture while you observe, learn and optionally participate in a demonstration of their craft. The journey continues towards Izamal, probably one of the eldest cities in Yucatan, founded in the 4th century A.D. by Itzamna, leader, and patriarch of the Mayan people. Known as the “City of three cultures”, Izamal bring together elements of the pre-hispanic, colonial and contemporary eras. After lunch and time to wonder beautiful streets, you will be transferred to your hotel located in Chichen Itza area, to spend the rest of the day at leisure.